Quote: “The list of hymns worth doing is a lot longer than one or two or even three records worth. My parents took us to church Sunday morning, Sunday night and Wednesday night. I’ve never thought about hymns as being anything except foundational. They are just life tools,” says Grant. 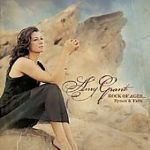 The Bottom Line: Grant makes the hymns of old new again in her arrangements of these classic songs, clothed perfectly in blues, Americana, gospel and folk. Her timeless, signature voice offers an honest purity to songs of a faith that beg for such an interpretation.